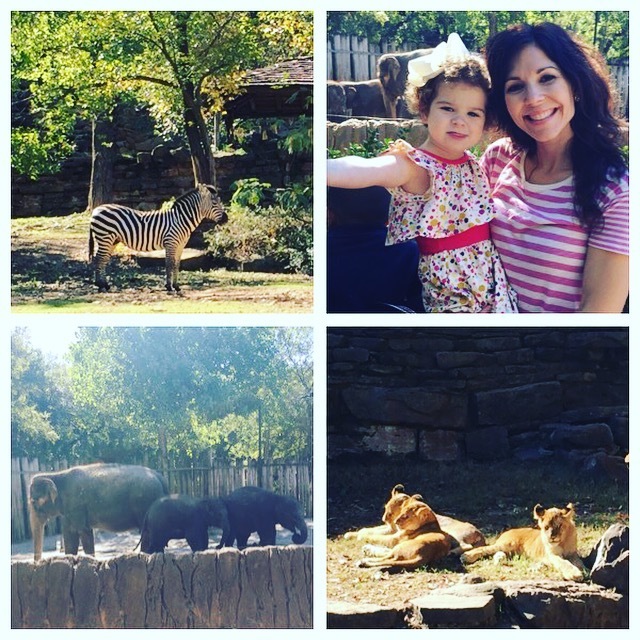 Last month, our family spent 8 days in the Dallas/ Fort Worth area. Last time we were in Dallas, I was pregnant with Sienna! We had a blast visiting again especially now that Sienna is at an age where she enjoys all of our outings. 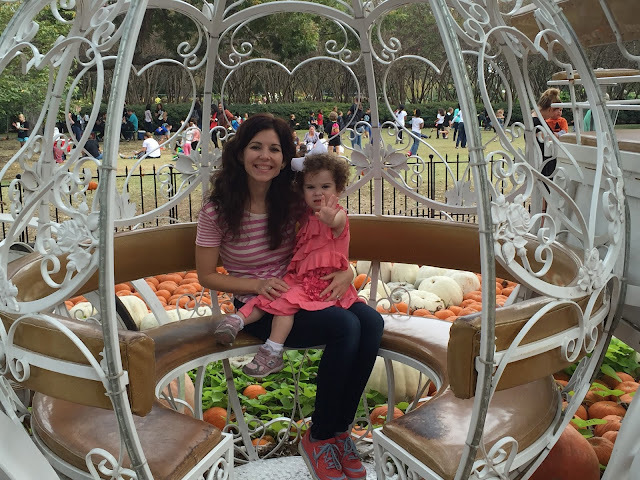 Dallas has so many kid-friendly activities - it's definitely a cool place to visit. We had perfect weather for mid October except for some rare flooding! 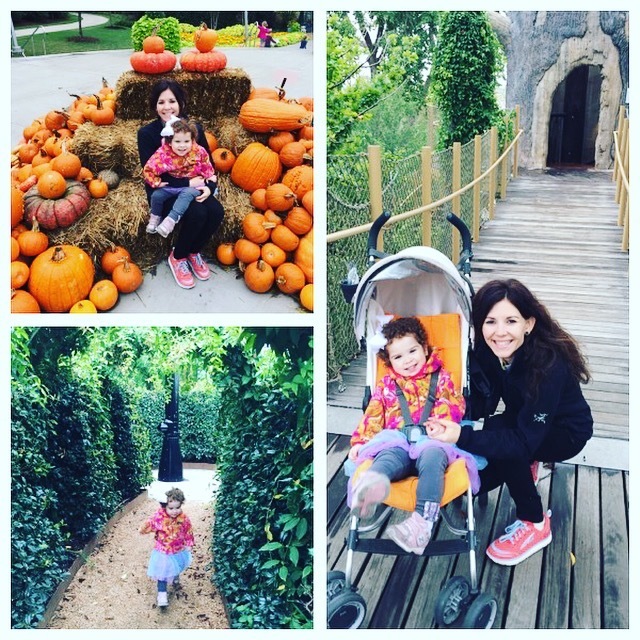 Despite a few days of heavy raining where we stuck to indoor activities, we still managed to take advantage of all the great outdoor activities for kids the rest of the week. Here's a list of 8 things to do with kids in the Dallas area! 1. Dallas Arboretum and Botanical Garden: This place is absolutely amazing! 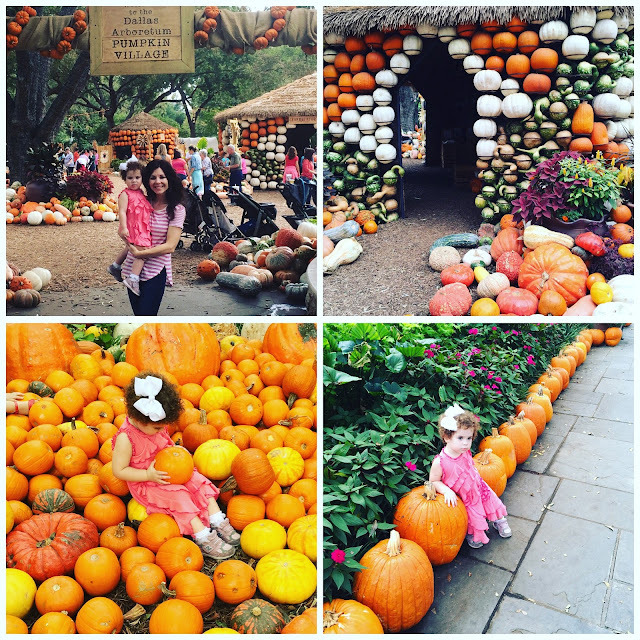 If you visit Dallas in the fall, then the arboretum is a must see! The pumpkin village was my favorite part of the whole trip! I've never seen so many pumpkins in one place before. And the rest of the gardens were beautiful! The walkways were even lined with pumpkins. You could easily spend a whole day walking through the gardens and enjoy a nice lunch at one of the many outdoor cafes. 2. Rory Meyers Children's Adventure Garden: The Children's Adventure Garden is located at the botanical garden but requires a separate entrance fee. We went back another day and spent the morning Sticker-treating at the garden (since we were there the week of Halloween). I was really impressed with all of the hands-on learning experiences at the adventure garden. We would definitely go back when Sienna could participate in more of the activities. It would have been nice if there was a restaurant nearby (instead of walking all the way to the arboretum), but we were able to grab a light lunch at the Two Sisters Cafe which overlooked the children's garden. 3. 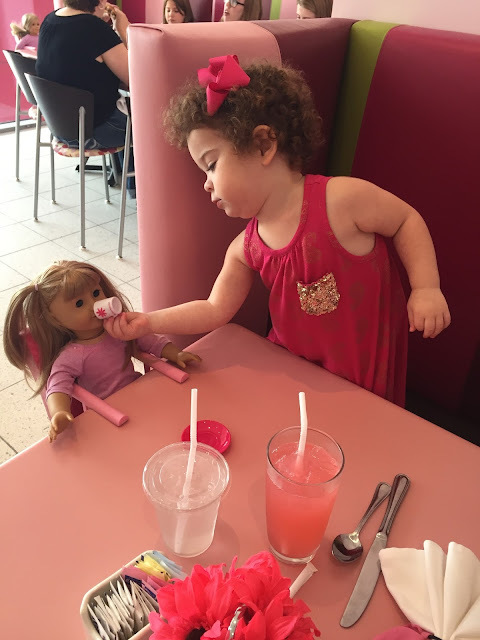 American Girl Boutique and Bistro: I've been dreaming of the day I could take my daughter to the American Girl Bistro! I wasn't sure if she would get it being only two years old, but she proved me wrong and absolutely loved it! 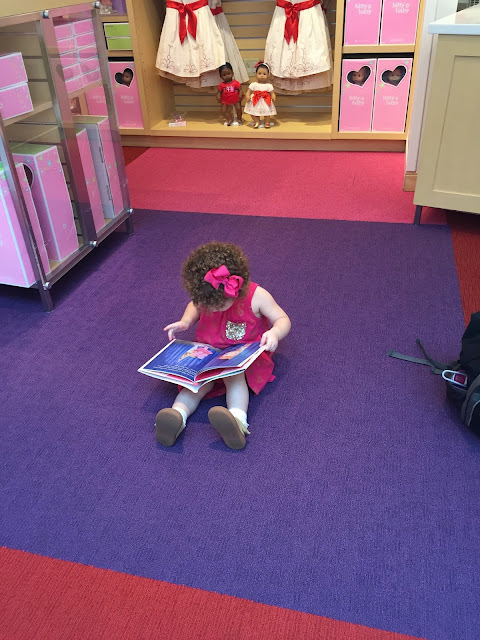 It was our second time to an American Girl Store, as our first trip was a couple months ago at the Nashville Franklin Store. She enjoyed looking around at all the dolls and plopped right down in the store to read her new book. She loves those American Girl Books! Lunch at the bistro was such a fun experience. 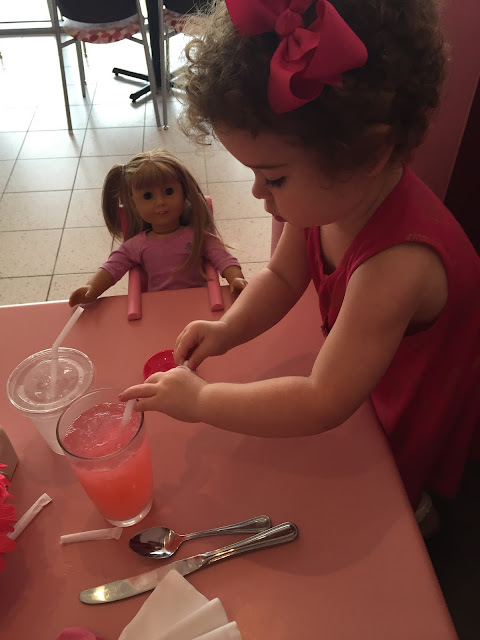 I almost died of cuteness overload when I saw her giving her babydoll pink lemonade at our table! I would definitely make time to visit again, especially since the bistro is in the Galleria mall with some other great shops like Nordstrom and Godiva! I couldn't resist grabbing a few Godiva Candy Cane Truffles to enjoy in our hotel room! 4. 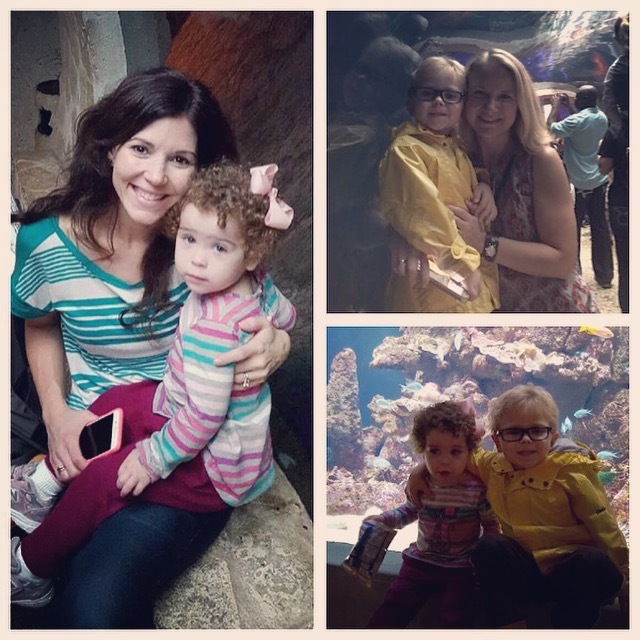 Dallas World Aquarium: This was a great indoor activity to do. It was a unique aquarium as one half of the exhibit was set up like a rainforest. Our favorite part was the feeding of the sharks - my daughter talked for days about watching the sharks eat lunch! We spent several hours at the aquarium and ate lunch on the 3rd floor at Cafe Maya. It was really good, and we had a great view of the flamingos in the rainforest! The admission was a little pricey since they charged for my two year old to get in. But on a rainy day, it was a good option for keeping a little one busy! 5. George W. Bush Presidential Library and Museum: We have been wanting to visit the Bush Library ever since its opening a few years ago. While we had to skip over most of the museum with a two year old in tow, I was still glad we got to see it. There were a few areas for kids - Sienna's favorite was the wall of children's books. 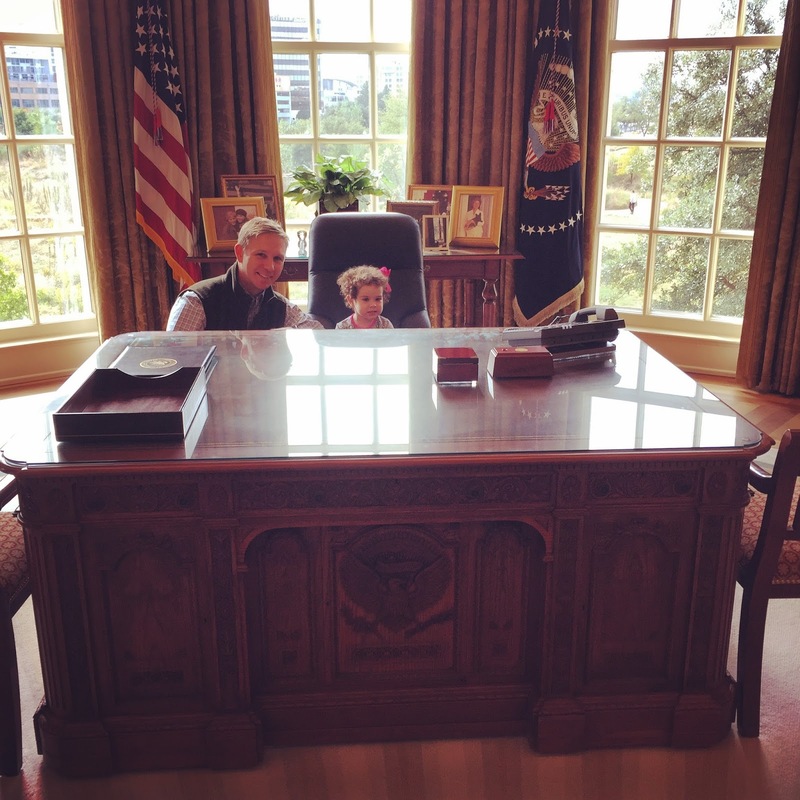 She also got her picture in the oval office! 6. 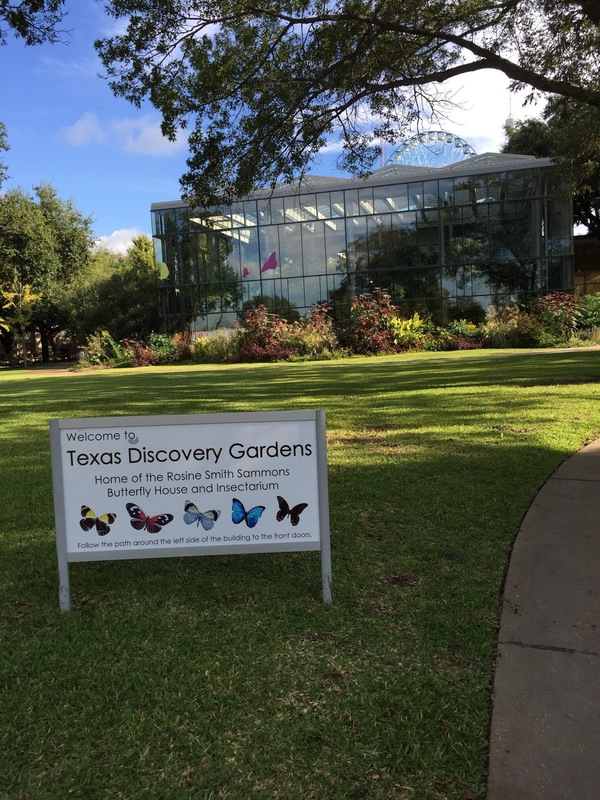 Texas Discovery Gardens and Butterfly House: Our time at the discovery gardens was better than I expected! The small gardens were so quaint, definitely a hidden gem in the city! There was hardly anyone there which made our visit very enjoyable as the kids could run around and go at their own pace. The butterfly house was beautiful! It took us about 20 minutes to walk around the house and we stayed for the butterfly release at noon. 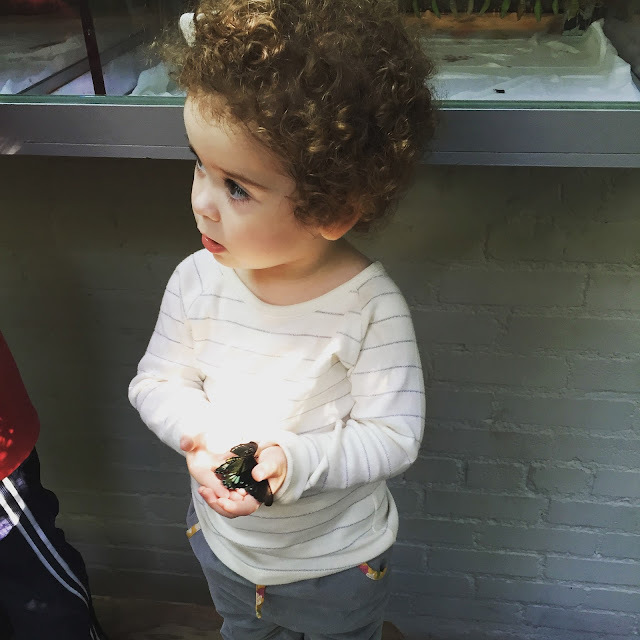 Sienna even got to hold a butterfly and watch a few baby butterflies come out of their cocoon. 7. Northpark Center: Being out of town for over a week, it was nice to have a low-key night just to walk around a nice shopping center and grab a bite to eat for dinner. The Northpark is the most amazing shopping center I've ever seen! No wonder it's #1 in the country! The center itself is like a work of art with their gorgeous displays and decorations. We saw hundreds of pumpkins throughout the center and were told the displays will be completely new for Thanksgiving and Christmas! 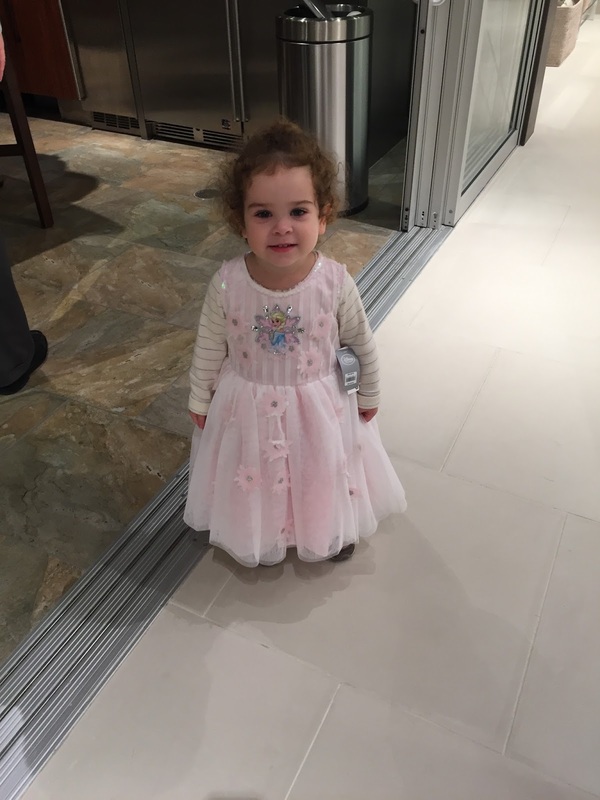 Sienna had fun picking out her Halloween costume at the Disney Store and her Christmas dress from Hanna Anderson. I have never seen such an impressive mix of stores in one shopping center. From children's stores to high end retail, there was something for everyone! 8. Fort Worth Zoo: I had planned on going to the Dallas Zoo on our last day, but after reading reviews we decided to drive to Fort Worth since they have one of the best zoos in the country. It was very impressive and worth the drive! I love zoos that attempt to keep the animals in a natural habitat. Seeing zebras on a grassy hill surrounded by beautiful trees literally took my breath away. I feel like the animals look more majestic in their natural environments (or close to it). Sienna loved seeing the baby elephants - one of which was born just a week before her! On our next visit we will be sure to ride the train throughout the back half of the zoo. We had such a great time exploring Dallas! We will definitely be back for another visit - maybe next time around the Christmas season?! But if not, autumn in the Big D is pretty amazing! Until next time, Dallas!